Last weekend, I got to spend time on the floor exploring the relationship between my seventh cervical vertebra and my sacroiliac and hip joints. I was with about forty other practitioners, students, and people curious about their bodies. We were guided by Olena Nitefor, a skillful and anatomically-oriented teacher of movement through the Feldenkrais Method. She was one of my teachers in the early 2000s when I studied Feldenkrais for 800 hours over a period of 3.5 years to complete my professional training. I remember her anatomical focus from that time. It stood out as not all trainers use the words for the bones in this way. This time, she brought a disarticulated skeleton, strung on fishing line, and as she verbally directed our sensations through movement directions and then demonstrated movement on a full skeleton, on live people, and on this disarticulated skeleton, I found myself back in relation to bones, mine, and others I’ve seen and touched. I took time to play with those individual bones strung on fishing line, to figure out how the angle of the facet joints between bones shifts as one moves down the spine, how that impacts which kinds of movement are more and less accessible just because of skeletal constraints. My father was an orthopedic surgeon and a fisherman, so bones and fishing line took me back to my memories of him. I remember being particularly fascinated by models he had of the human hand and foot. In these models, I could remove layers of vessels, muscles, and bone. Whenever I visited his office, I would take these apart and put them together again. He also brought home big box video machines when he needed to review a new surgical procedure. There, on the kitchen counter, in the years before VCRs were widespread, he would set up this machine to study a surgery. It was gruesome and normal all at the same time to see this surgery playing out on the same counter where he carved our Thanksgiving turkey with surgical precision. In college, as I began taking geology courses as part of my geology-physics/mathematics concentration (major), I was encouraged to take, “The Fossil Record” as a retiring professor was teaching it for the last time. The day that I arrived in class to find several different fossil skulls lined up for our inspection, my stomach turned. But, it wasn’t because they were skulls. It was because that week, my father had diagnosed his own brain tumor, so touching a skull felt a bit too raw. A few weeks after that, I was home for the December break, and my father asked to talk with me. He seemed serious, as if every visit, every conversation might be our last. He had survived brain surgery to remove the tumor, and was determined to get better. But, what he wanted to share with me was about me and my future. He knew that over many dinner conversations throughout my adolescence, I had soaked in his concerns about how medicine was changing becoming more managed, and that I had found another direction for my passion for math and science, newly declaring my intention to study geophysics. He said, “Do what you want to do. But, I want you to know that being a doctor has been deeply meaningful and rewarding, and it’s not my place to convince you not to pursue medicine if you want to do that.” My father died February 9, 1991, just a few months before I graduated from college. I stuck with my geophysics plan for a while, through a Ph.D., a postdoc, and a first job, and then shifted to software engineering for most of the past two decades. 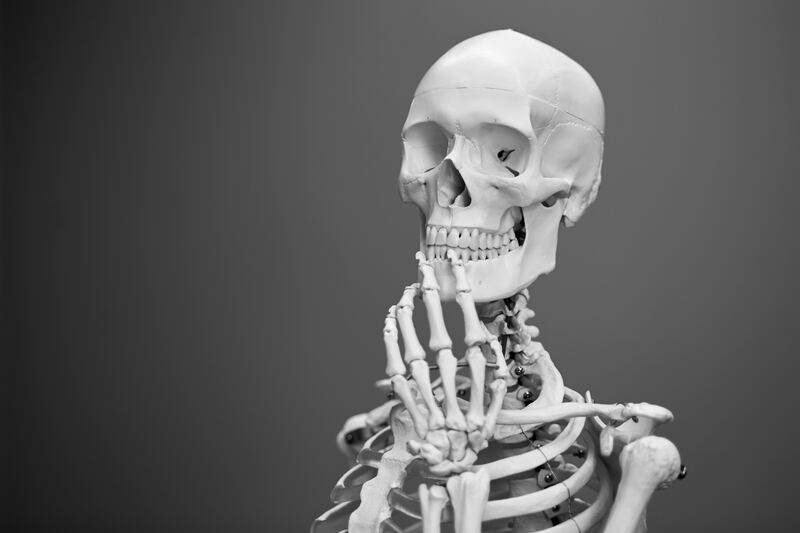 In parallel with that academic and professional path, I’ve been continuing my apprenticeship in understanding how the skeleton works. I discovered the Feldenkrais Method while walking around La Jolla, California, learning my new neighborhood where I had rented a room in a three bedroom house close to the beach and biking distance to graduate school at Scripps Institution of Oceanography. I found a poster announcing a class in Feldenkrais “Awareness Through Movement” at the local recreation center. I decided to try it to heal a shoulder injury that nothing had helped, not the three daily doses of 800 mg of Ibuprofen my father gave me in a giant bottle straight from the drug rep, not the offer of surgery from his thoracic surgeon colleague. And, playing Division I ice hockey through college most definitely made my shoulder worse, especially the dozens of slapshots I hit in practice daily as catharsis while my father was dying. By attending that gentle movement class for the six years I lived in La Jolla, lying on a mat on the floor every Thursday at 6 pm, I learned to move my right arm and shoulder and ribs in entirely new ways, learned to be with myself and attend to myself in new ways, ways that have held my fascination for decades, led me to a Feldenkrais professional training, and the best preparation I could have asked for in parenting my two daughters, including my stroke survivor. And, in some sense, returning to touch the skeletal bones this past weekend felt like returning home, touching bones as part of my emerging professional identity. I think the seed my dad planted with that important life conversation in the face of his mortality was his gesture to enable me to trust myself to choose my life path. 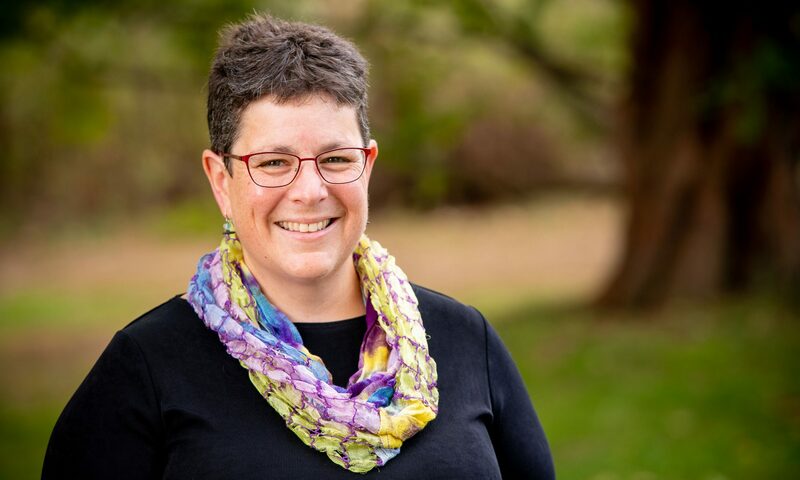 Mara sees clients in Framingham, Massachusetts, makes house calls within Metrowest Boston, and connects with distant clients via video. Please send a message by email for inquiries or to schedule an initial consultation. The following are service marks or certification marks of the Feldenkrais Guild of North America: Feldenkrais® , Feldenkrais Method® , Functional Integration® , Awareness Through Movement® , and Guild Certified Feldenkrais PractitionerCM.